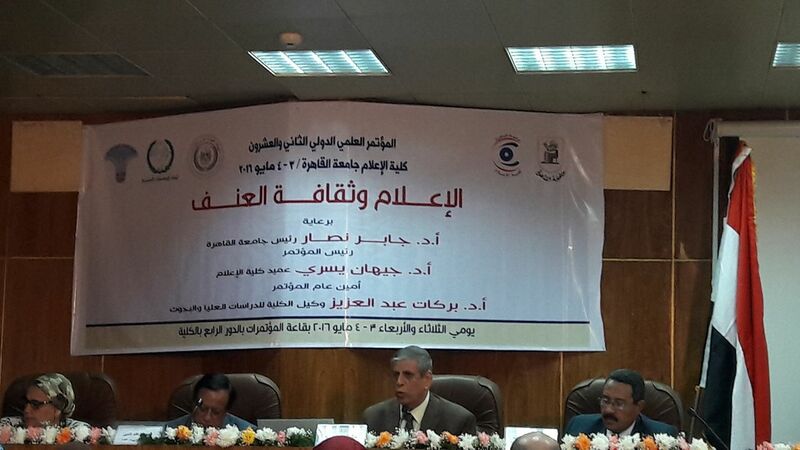 Media officials and journalism professors demanded the immediate tackling of violence associated with today’s Egyptian media at the 22nd annual International Journalism Conference that took place on Monday at Cairo University. The conference was organized by Gaber Nassar, president of Cairo University, Gihan Yousry, head of the university’s Mass Communication department, and Barakat AbdelAziz, deputy head of post-graduate studies at the university. Nagwa El Fawad, head of the National Research Council, stressed the importance of media playing a crucial role in dealing with the daily acts of violence, analyzing reasons for violence that emerges in media today, and encouraging effective solutions to protect audiences. “We need to discipline today’s media by implementing constitutional laws of 2014, hence controlling the culture of violence that we witness in daily life,” El Fawad said. Moataz El Sayed Abduallah, head of Cairo University’s Literature department and a professional psychiatrist delved into the reasons behind acts of violence in today’s Egyptian community. “Our Egyptian society is no longer forgiving and violence has a specific cycle that starts with discrimination, leading to radicalism, then hatred and later all three aspects are translated in acts of violence and terrorism,” said Abduallah, who was one of the public speakers at the conferenced. He mentioned the different forms of discrimination and intolerance that took place in society right before it became a matter of a public opinion and the topic of many talk shows, including intolerance against religion, tribes, color, sports, gender and political views. Abduallah also stated that contemporary Egyptian talk shows nurture discrimination in viewers’ minds and incite violence through making a big deal out of individual cases. He stated that violence incited in talk shows and other TV news programs or in newspapers violates the social responsibility and professional media ethics that should be present in every journalist and reporter. He concluded that effective methods to tone down negative media performance include the rebuilding of the Egyptian personality through encouraging critical thinking in schools and engaging students and youngsters in a reputable dialogue free of subjectivity. According to Abduallah, these are all initiatives that will lead to practicing real democracy and actual reform of political education. The conference also focused on covering vibrant subjects that involved violence in films and the community to help encourage research on a wider spectrum, which present one of Egypt’s crucial current goals. The goals of the convention also included analyzing media attempts that produce an unbalanced representation of an argument and media anchors who tend to judge and attacks certain factions or individuals without proof, which results in the loss of a media person’s objectivity. An open discussion that took place in the conference concluded that these media attempts tend to spread hate speech that affects the audience’s behavior when dealing with women, children, people in the workplace, and street violence. Many intellectuals and media professors also analyzed the acts of violence against journalists, stating that this violates the freedom of expression and the right of audiences to attain information. In the same vein, “Journalists against Torture” released a statistical infograph on Monday morning that displayed the overall acts of violence against journalists in 2015. It was also mentioned that the Ministry of Interior is responsible for violations against 276 journalists, while civilians were responsible for 155 violations, 140 journalists were attacked by government officials, organizational forces including police and military members are responsible for 52 violations, while the judiciary, private security companies and armed forces violated the rights of 23, 30, and 16 journalists, respectively. 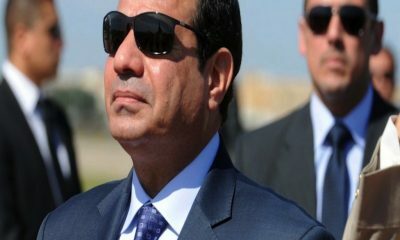 Security forces reportedly stormed the Press Syndicate on May 1 to arrest journalists and syndicate members Amr Badr and Mahmoud El-Sakka, who attempted to participate in a sit-in at the syndicate headquarters to express their solidarity with journalists who were arrested on the April 25 in several protests. Several parties and individuals such as journalists and lawyers denounced the act and said it was violating Article 70 of Egypt’s constitution, which declares that the Press Syndicate and its other headquarters cannot be searched except by approval from the general prosecution and with the presence of the president of the syndicate. Fatma khaled an aspiring journalist who is very much interested in middle eastern affairs and seeks to highlight aspects of the community through exclusive news coverage. Journalism is a passion.